JOIN US FOR OUR WEST PALM BEACH TRAINING & BUSINESS OVERVIEW WITH TOP LEADERS FROM THE SPIELDENNER & KIMBRELL AGENCIES! Top Leaders from the Spieldenner & Kimbrell Agencies will be hosting this meeting. So be sure to come out, learn about our business, meet others in the industry, and hear invaluable information to grow your business! JOIN US FOR OUR WEEKLY INDIANA PHONE TEAMS WITH TOP LEADERS FROM THE ALDERSON-CLOUTIER AGENCIES! JOIN US THIS FRIDAY FOR OUR WEEKLY SALES MEETING WITH TOP LEADERS FROM THE DELANEY, PRITCHETT & SPIELDENNER AGENCIES! JOIN US FOR OUR LUMBERTON, NC BOOTCAMP WITH ASSOCIATE PARTNER BRIAN DELANEY AND TOP LEADERS FROM THE HUNT AGENCY! Please have the following information available for each occupant of your cruise cabin. You will have the opportunity to modify this information if the guests in your cabin change. *Passport information is not required to complete this phase of registration for the cruise. Passports will be required at the time of boarding. Read through all policies regarding passport/travel documents requirements HERE. JOIN US FOR OUR GRAND RAPIDS BOOTCAMP WITH LEADERS FROM THE ALDERSON-CLOUTIER & SKENE AGENCIES! Agency Owners from the Alderson-Cloutier, Skene & Graham Agencies will be hosting this Bootcamp. So be sure to come out, learn about our business, meet others in the industry, and hear invaluable information to grow your business! The parking and entrance are located behind the building and the meeting room is on the lower level, to the left. JOIN US FOR OUR COLUMBUS PRE-CONFERENCE BLITZ WITH TOP LEADERS FROM THE HALL & WILSON AGENCIES! Agency Owners Nate Hall and Justin Wilson will be hosting this meeting so be sure to come out, learn about our business, meet others in the industry, and hear invaluable information to grow your business! JOIN US FOR OUR TAMPA BOOTCAMP WITH LEADERS FROM THE SPIELDENNER & KIMBRELL AGENCIES! JOIN US FOR OUR WEEKLY TAMPA PHONE TEAM & TRAINING WITH TOP LEADERS FROM THE SPIELDENNER & KIMBRELL AGENCIES! Learn about us, from us, and with us! Join leaders from the Delaney Agency in Charlotte, NC for a phone team and Training Workshop. Believe by seeing and learn by doing! Join us for our must attend Asheville Bootcamp! Associate Partner Brian Delaney and other leaders from the Pritchett, Delaney & Spieldenner Agencies will be hosting! Be sure to come out, learn about our business, meet others in the industry, and hear invaluable information to grow your business! Check out our itinerary below and be sure to follow along via Livestream if you can't make it in person! Leaders from the Hall Agency will be hosting this meeting. Be sure to come out, learn about our business, meet others in the industry, and hear invaluable information to grow your business! JOIN US FOR OUR MEMPHIS BUSINESS OVERVIEW & TRAINING WITH TOP LEADERS FROM THE BUSICK AGENCY! Agency Owner Josh Busick and other key leaders will be hosting this meeting. So be sure to come out, learn about our business, meet others in the industry, and hear invaluable information to grow your business! Associate Partner Brian Delaney and Agency Owners Trey Alderson-Cloutier and Josh Busick will be hosting this meeting. So be sure to come out, learn about our business, meet others in the industry, and hear invaluable information to grow your business! We are thrilled to announce our 2018 philanthropy partner as Make-A-Wish Foundation! Thank you for your interest in the 2018 Symmetry Challenge! By submitting your registration, you are committing to raising a minimum of $300 for the Make-A-Wish foundation. Each participant who raises $300 will have the opportunity (but is not required) to join in an individual 5K race around the lake and may be selected to join in on the Dodgeball team event. Spouses/partners are encouraged to participate but each individual must register separately and raise their own $300. Dodgeball teams will be selected by the Symmetry Directs (110s) from a pool of individuals in their organization raising at least $300 by October 25th. Teams will be selected two weeks prior to the event. Direct organizations will need to have raised a total of $3000 to qualify to have a team. The top fundraising Direct organization will win a 3-night Leadership Retreat at the Symmetry Lake House with GiANT. Join us for our 2018 Leader's Summit! There is no entrance fee for this event, but registration is required. AN AFTERNOON OF TRICKS & TREATS, AND ALL FOR A GREAT CAUSE! Please join us for our first annual Wicked Halloween 5k & Fun Run for the Make-A-Wish Foundation. Thank you for your support and we look forward to spooking you there! JOIN US FOR OUR CHAMBERSBURG BOOTCAMP WITH TOP LEADERS FROM THE BUSICK AGENCY! Agency Owner Josh Busick and other key leaders will be hosting this bootcamp so be sure to come out, learn about our business, meet others in the industry, and hear invaluable information to grow your business! JOIN US FOR OUR ROME TRAINING & PHONE TEAM WITH TOP LEADERS FROM THE BUSICK AGENCY! Agency Owner Joel Skene and other Key Leaders will be hosting this Bootcamp. Be sure to come out, learn about our business, meet others in the industry, and hear invaluable information to grow your business! JOIN US IN BOSTON FOR OUR POST CONFERENCE BLITZ WITH ASSOCIATE PARTNER BRIAN DELANEY & AGENCY DIRECTOR TIM PENSO! JOIN US FOR OUR TAMPA BOOTCAMP WITH HOSTS MIKE & CHRISTINE REIFF & STEVEN WHITE! 3pm-6pm - Corporate Overview & Training, Psychology of the phone script, In-Home training and Building Long Term Passive Income. JOIN US FOR OUR SAN DIEGO POST CONFERENCE BLITZ WITH TOP LEADERS FROM THE HALL AGENCY! 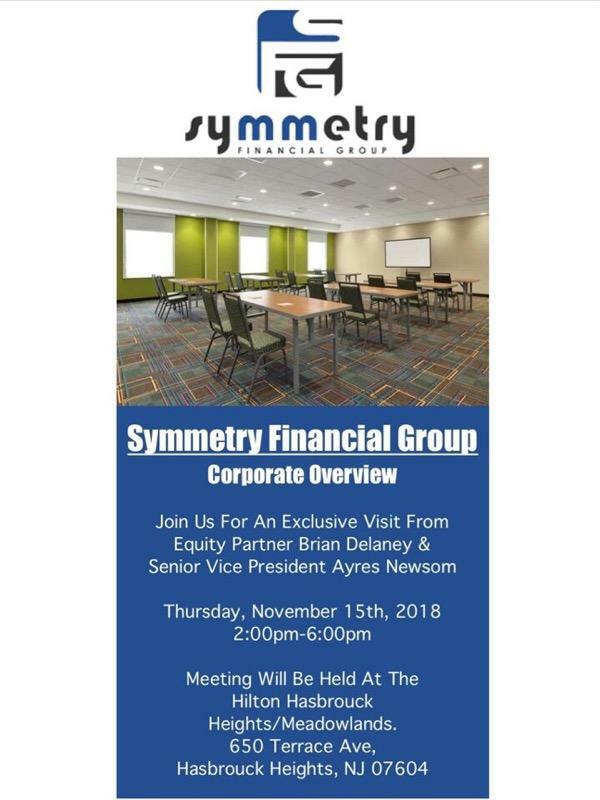 Agency Owners Nate & Tom Hall will be hosting this meeting so be sure to come out, learn about our business, meet others in the industry, and hear invaluable information to grow your business! JOIN US FOR OUR PHOENIX POST CONFERENCE BLITZ WITH TOP LEADERS FROM THE HALL AGENCY! JOIN US FOR OUR HARRISBURG TRAINING & PHONE TEAM WITH TOP LEADERS FROM THE BUSICK AGENCY! JOIN US FOR OUR NASHVILLE TRAINING & PHONE TEAM WITH TOP LEADERS FROM THE HALL AGENCY! Agency Owner Nate Hall and other key leaders will be hosting this meeting. So be sure to come out, learn about our business, meet others in the industry, and hear invaluable information to grow your business! JOIN US FOR OUR ORLANDO PRE-CONFERENCE BLITZ! Agency Owner Jimmy Spieldenner will be hosting this Bootcamp so be sure to come out, learn about our business, meet others in the industry, and hear invaluable information to grow your business! Join leaders from the Delaney Agency in Atlanta, GA for a phone team and Training Workshop. Believe by seeing and learn by doing! JOIN US FOR BOOTCAMP WITH AGENCY OWNERS TREY ALDERSON-CLOUTIER & JOSH BUSICK! Agency Owners Trey Alderson-Cloutier, Josh Busick and other Key Leaders will be hosting this Bootcamp. Be sure to come out, learn about our business, meet others in the industry, and hear invaluable information to grow your business!